Get your Motorcycle Cannonball Gear HERE! 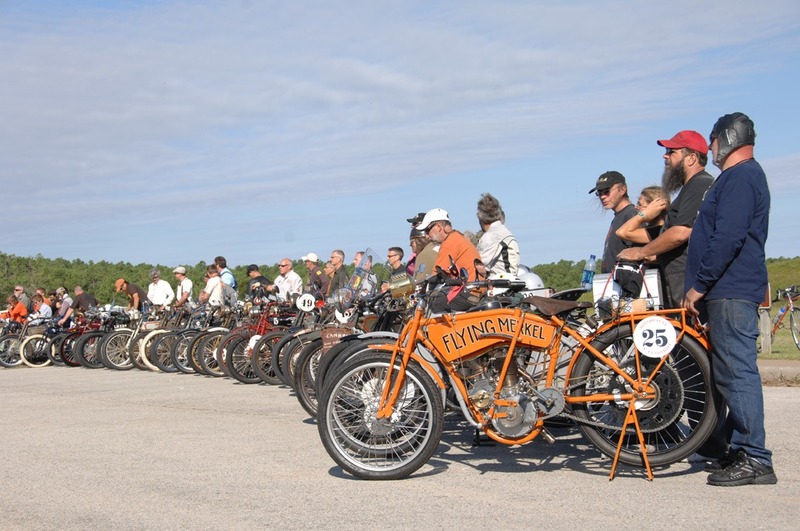 It might be a hard ride to Sturgis or Daytona, but chances are it’s nothing like the Motorcycle Cannonball – and not just any motorcycle… This run is for pre-1930 bikes only! This is a true cannonball too. 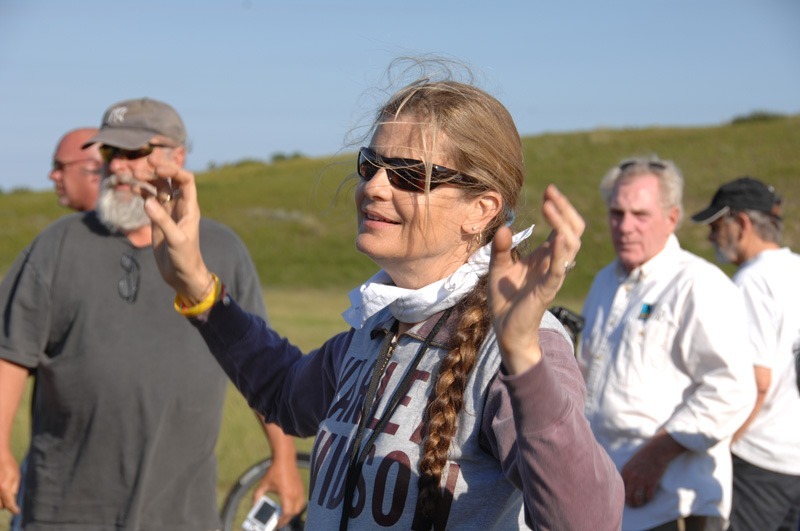 We’re talking 2 weeks to get from Newburgh, NY to San Francisco, CA. 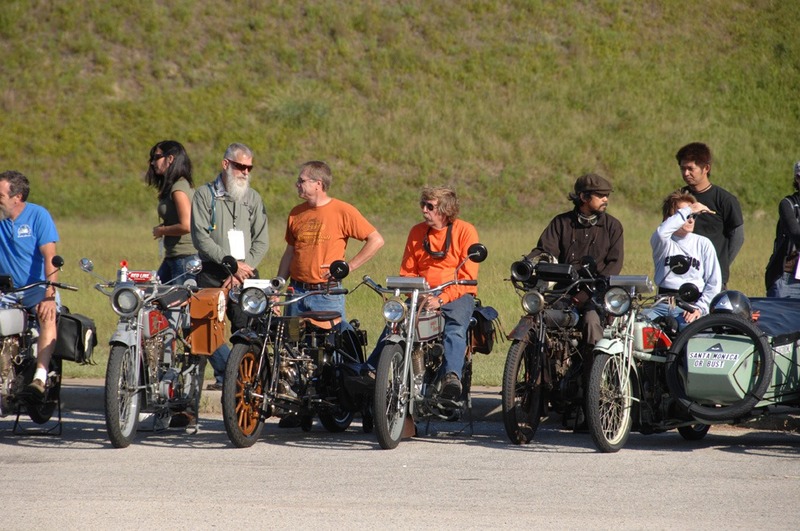 The whole route is as scenic as possible avoiding interstates going the back routes and through parks and nature areas, as well as visiting some of the coolest sites in motorcycle memorabilia. 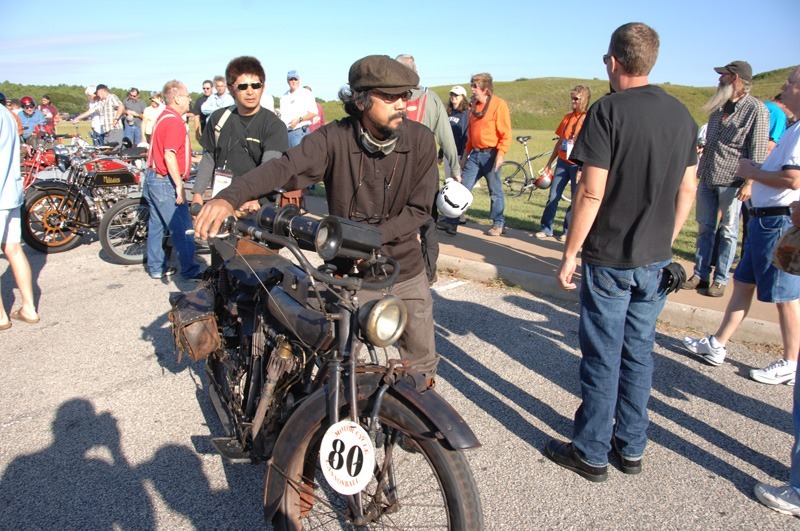 We’re very excited to host the riders here at the Museum overnight on September 10th and we can’t wait to hear the tales before and after. And you are invited to meet the riders and check out the amazing machines that are propelling them across the country! Keep checking here for more details! Also we’re very excited to announce that we’re sponsoring Matt Olsen, a very talented guy who, along with his dad Carl, does some great work at Carl’s Cycle Supply doing very high quality restorations. 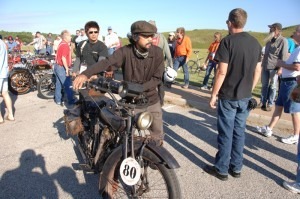 He’s going to be riding a 1928 Harley-Davidson JD at the request of John Parham. While Matt does the restore/rebuild on the bike he’s going to pop in occasionally with updates and when he’s not finding the spirit of America from the seat of a Harley he’ll be making some updates during the Cannonball. 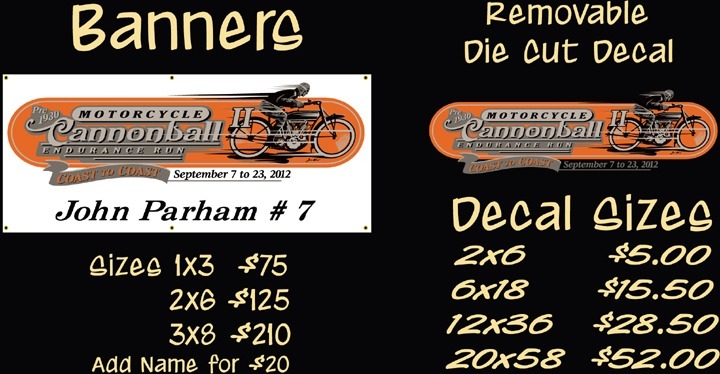 If you need an official* 2012 Motorcycle Cannonball Banner or Removable Sticker, we’ve got em. Jeff Haberman, Slewfoot Signs is making these official licensed products* available to Teams participating in the event and also any enthusiasts would would like to have a quality commemorative for the event to hang in their den or shop. Note that Jeff can add a legend across the bottom of you banner in black much like what’s in the pictured sample. Just click here or on the image below to head to Jeff’s website to order one for yourself! 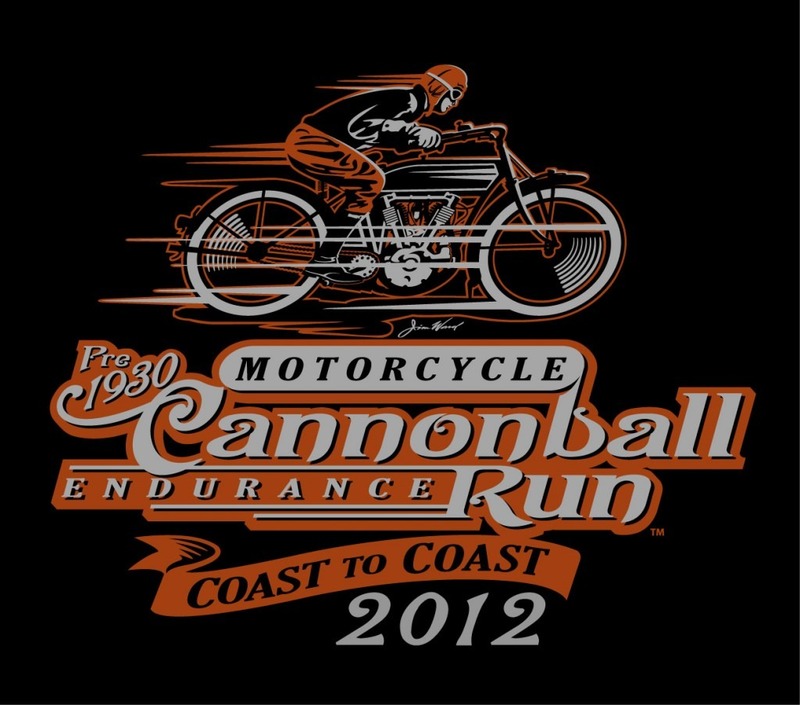 *The 2012 Motorcycle Cannonball logo is an official registered trademark.